Murder-accused Shrien Dewani will remain at Valkenberg Hospital in Cape Town to receive further treatment for his mental health, the Western Cape High Court ordered on Monday morning. By agreement with his defence team and the State, Judge President John Hlophe postponed the matter until June 20. In the pre-trial conference, Francois van Zyl provided insight on how his client had fared in his month as a hospital patient. He said Dewani lacked the ability to concentrate for longer than this time but he remained hopeful that his client would improve enough to “instruct us properly”. Dewani, in a dark suit and tie, was brought up into the dock only after Hlophe had sat down. His parents and other relatives sat in a bench in front of him and seemed worried. Dewani stared at Hlophe. Sometimes, his eyes skitted from side to side. Hlophe remained strict on media conditions. “No one is allowed to take pictures for as long as I sit in this chair,” he warned. 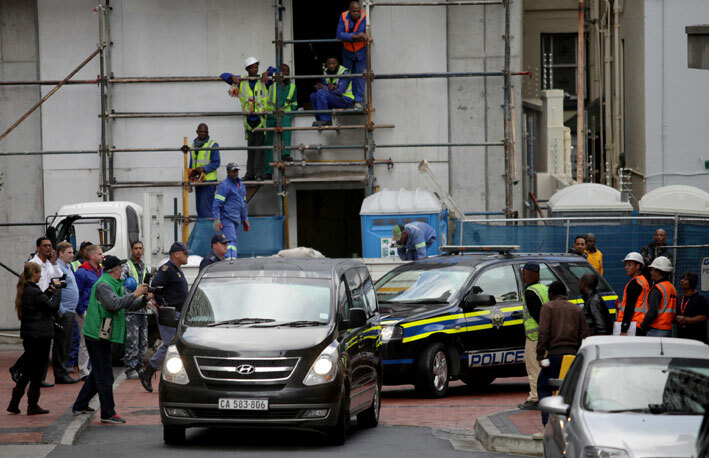 Dewani was led back down to the holding cells a mere five minutes after being led up. Hlophe was informed that there were no other matters on the roll. “That was a short walk to freedom,” he joked, before exiting in his bright red robes.